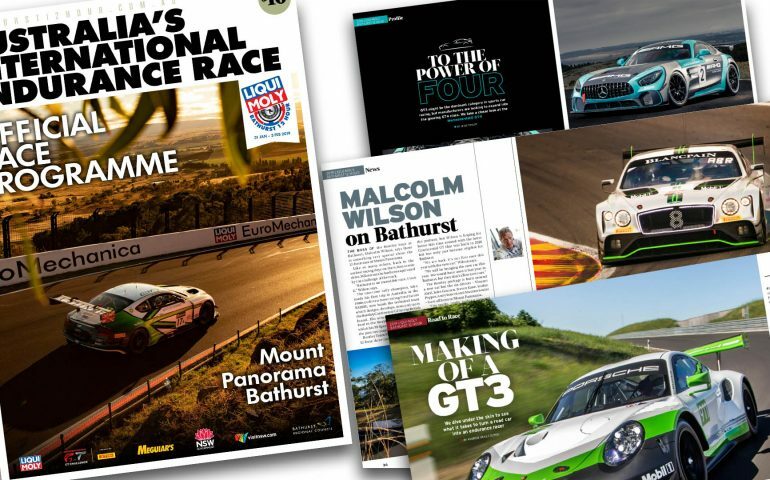 THE OFFICIAL event guide to the 2019 Liqui-Moly Bathurst 12 Hour will provide an in-depth look inside Australia’s International Endurance race. The magazine is being produced for the first time by Motoring Media Network, publishers of evo Australia and F1 Racing Magazines. The high-quality, glossy publication will detail many aspects about the race, as well as delving inside the cars and stars that make the show possible in the first place. “We are massive fans of the Liqui-Moly Bathurst 12 Hour here at Motoring Media Network and have loved watching the event grow in popularity every year. To be involved with producing the official programme has been a real privilege,” said Motoring Media Networks’s Matthew O’Malley. The 2019 magazine will be available at the circuit across the four days of the January 31 – February 3 event this year. “With this year’s official programme, we have taken the production levels up a notch,” O’Malley explained.